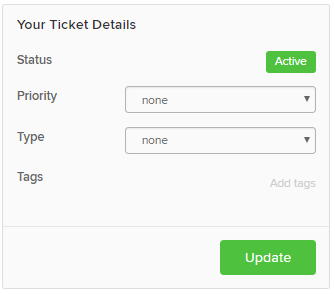 Within Teamwork Desk, your customers can submit tickets through your customer portal. Once you have enabled and set up your customer portal, your customers can then contact you by selecting Submit a Request to the top right of your support page. 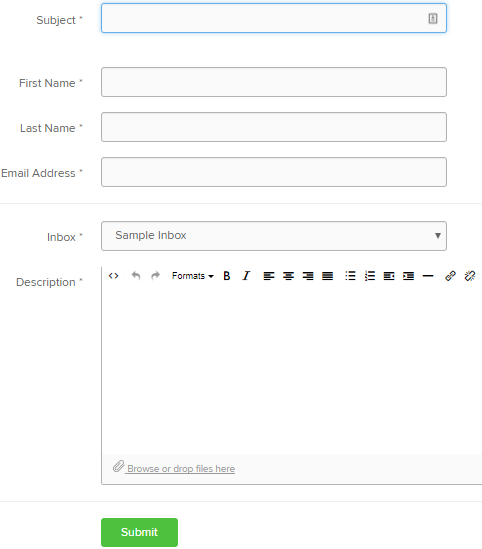 Note: If you have created any custom fields for an inbox and the customer has selected this inbox to submit a ticket to, the custom fields will appear within the form. Once your customer has submitted a ticket to your inbox, they can then sign in/create an account to log in and view their submitted tickets. The customer can then click on the ticket number or subject title to view the ticket. 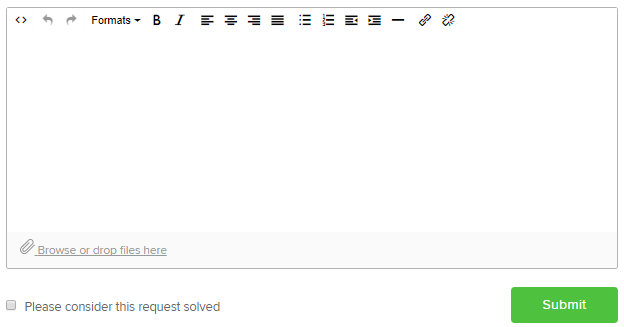 When viewing the ticket they will have the option to submit new information or further detail to the ticket thread using the text entry to the center of the page. They can also mark the ticket as solved on their side by ticking Please consider this request solved and choosing Submit. You can also enable various ticket details to show here when setting up your customer portal under Customer Permissions. Note: If the customer has submitted a ticket to an inbox which has custom fields created on it then the custom field information will also show within the ticket details box along with the default information. To the bottom of the page, the ticket thread can be viewed. Replies from both the customer and support team can be viewed here. If a customer has permission to view company tickets, they will also have access to a Company Tickets tab when they log in. 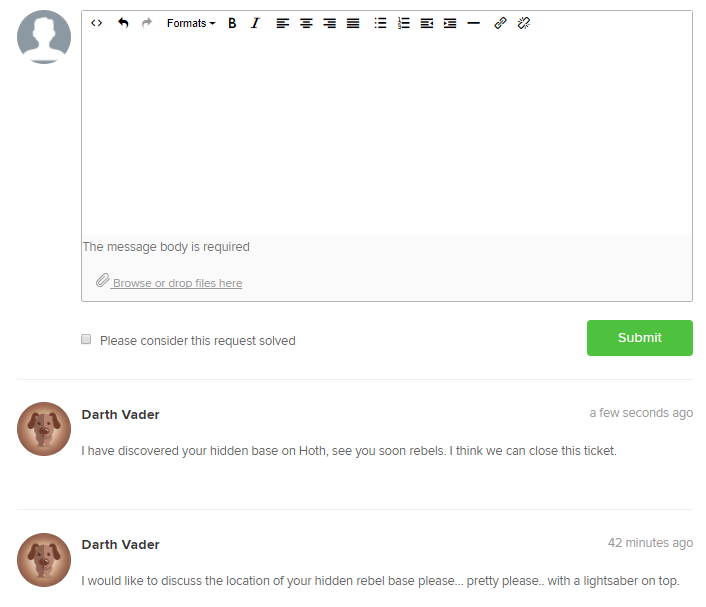 As with their own tickets, they can submit replies to company tickets through the Portal.